The jeep was first built by Bantam. Even the jeep like the Bantam pilot could get stuck! Or is it?! A salute to Bantam for being first! Auto Industry Debates Credit for “Jeep” Cars – Bantam President Now Is Hailed as Real Inventor. From The Evening Independent – Jun 27, 1941. 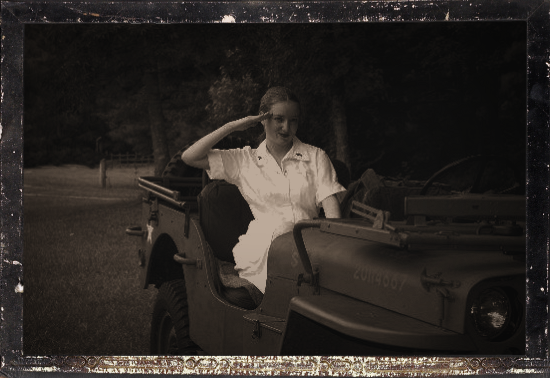 Poor Bantam often received little notice on their contribution to WW2 and American history–namely design of the jeep. But at least as early as 1941 some people recognized that Bantam designed the jeep. What is interesting is that the article…well, more of a gossip column than anything, says that Mr. Fenn came up with the idea of the jeep in 1937 and maybe even 1934! 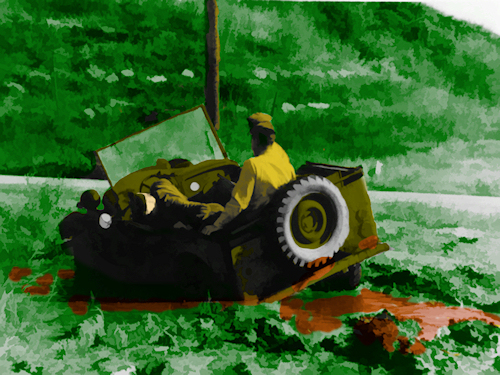 Find out more about Bantam and the other early “jeeps” – Jeep – Its development and procurement under the Quartermaster Corps, 1940-1942 . It’s available at Amazon.com and other bookstores.